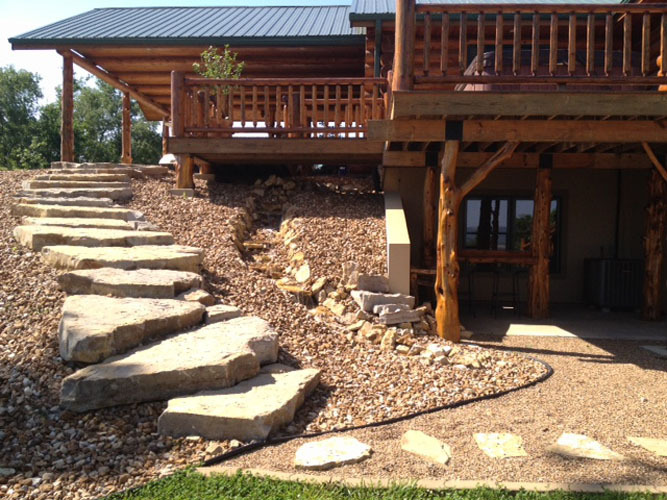 Riverbend Properties is located two miles from Wathena, Kansas, five miles from St. Joseph, Missouri, and 45 miles north of Kansas City. 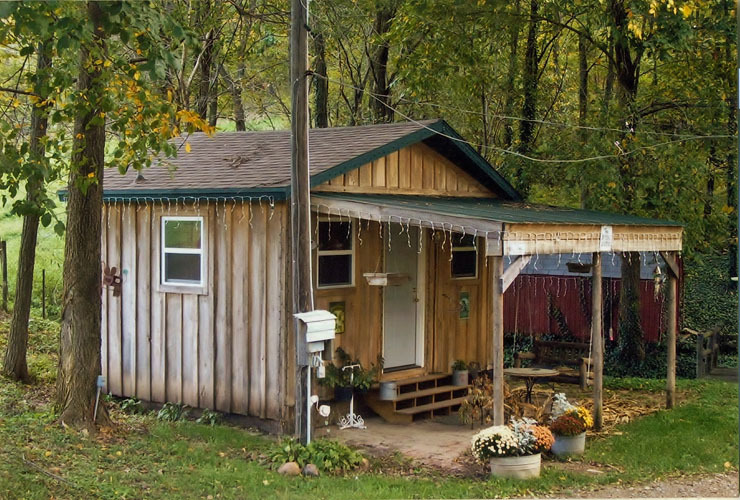 We invite you to come and relax in our quaint one bedroom cabin that offers you the perfect getaway. 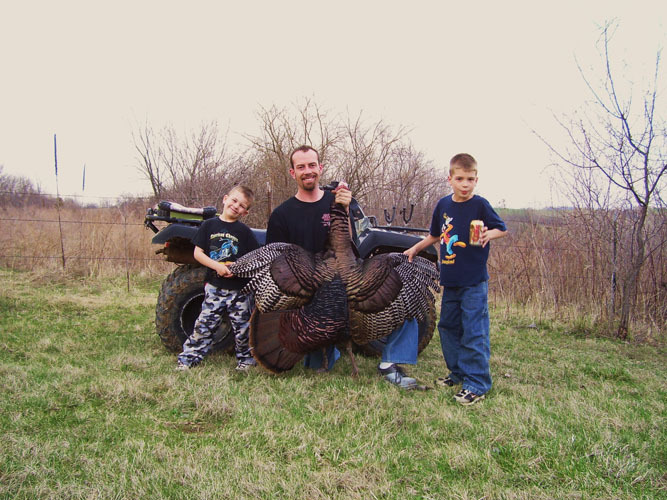 Whether you want to enjoy the seclusion of our cabin for a weekend vacation, try your hand at some of the best hunting or fishing around, or hook up your RV, we can accommodate you. 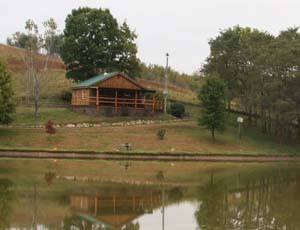 We offer all the amenities of home, a number of outdoor attractions, and complete seclusion and privacy. 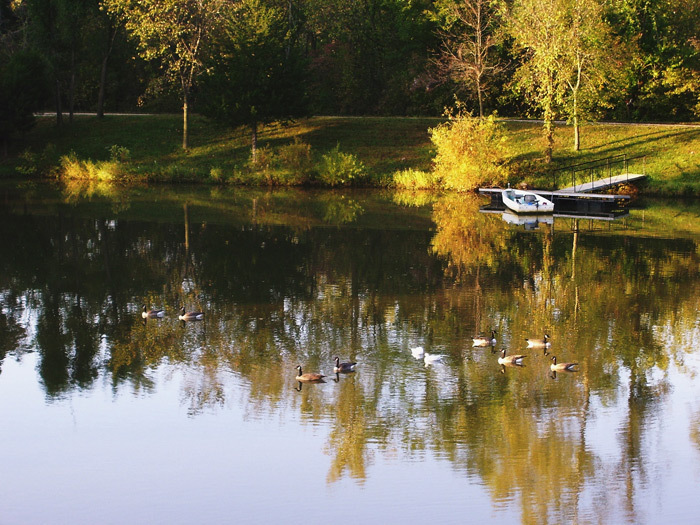 If you have questions about any other amenities or services, please call us at 816-262-9983. 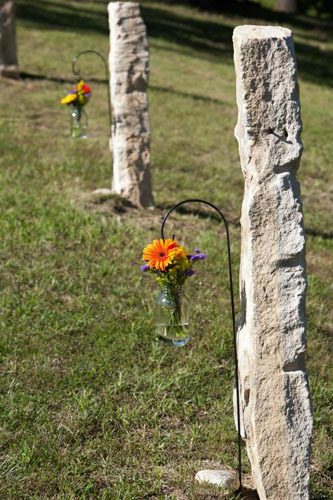 We are also located only minutes away from historic downtown St. Joseph, Missouri. 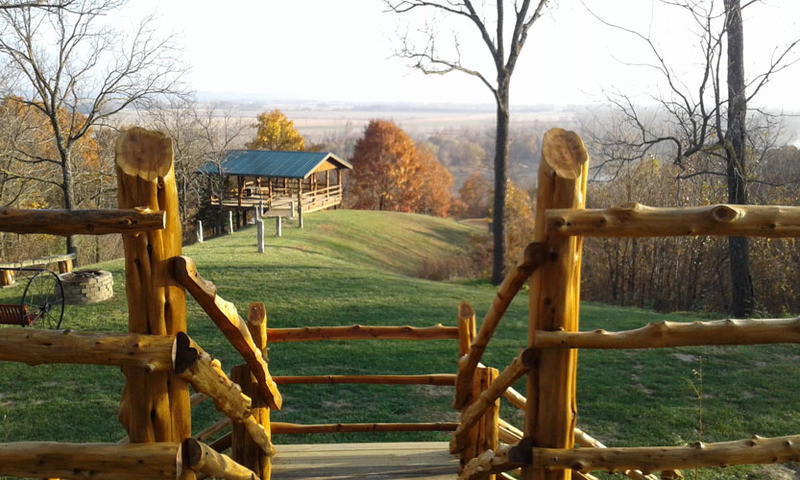 Northeast Kansas is known for some of the greatest hunting and fishing opportunities in the Mid-West and we can provide all the accommodations that will make your trip an unforgettable experience. 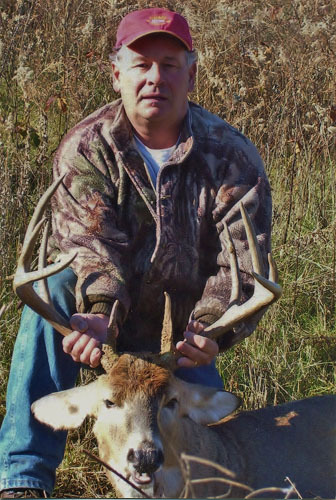 Our hunts are self-guided hunts on privately owned land. 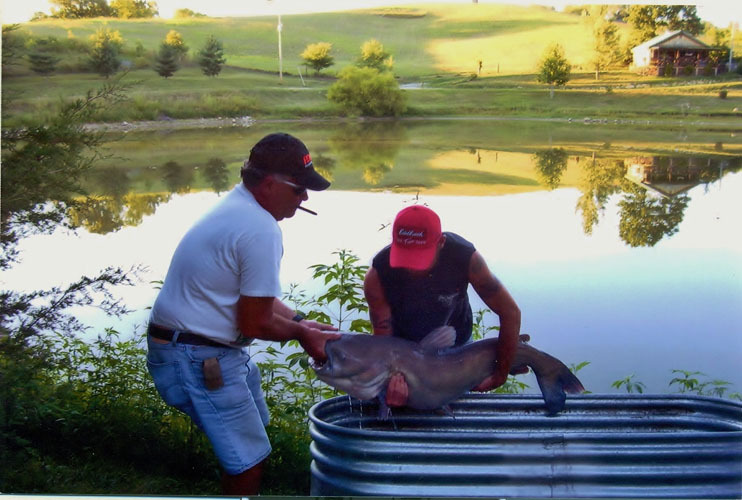 Fishing out of our campsite on the beautiful Missouri River offers some of the best catfishing anywhere for large flathead and blue cats. 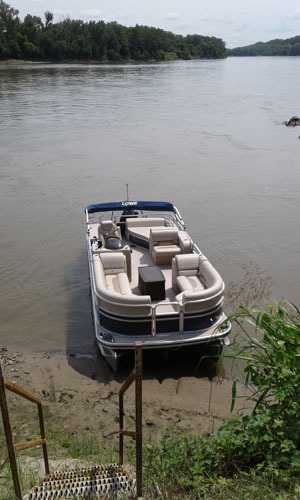 Bring your own boat or enjoy a cruise on the river with us in a tritoon. If mountains are more to your liking, we also book fully guided big-game hunts in Idaho for bear, elk, mountain lion and bobcats in some of the most beautiful scenery in the country. Accommodations and services will leave you with an unforgettable experience that will keep you returning. Contact Evean at 816-262-9983 or 785-989-4452 for additional information and prices. 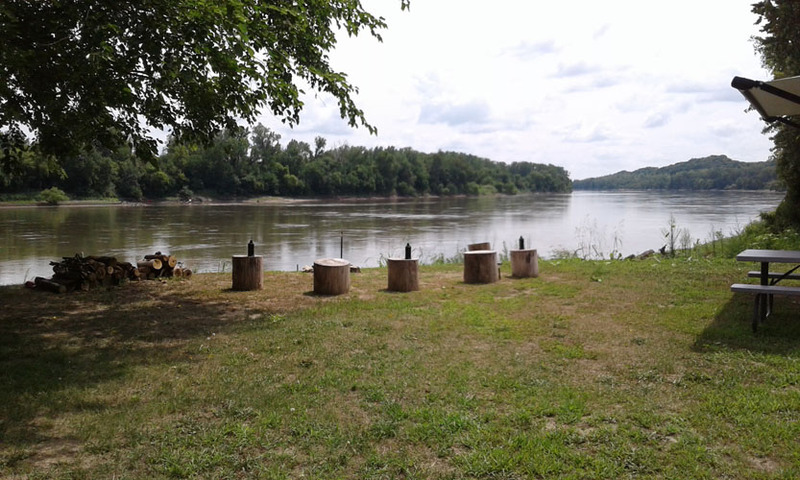 For the camping enthusiast, Riverbend has just the spot for you on the Missouri River. 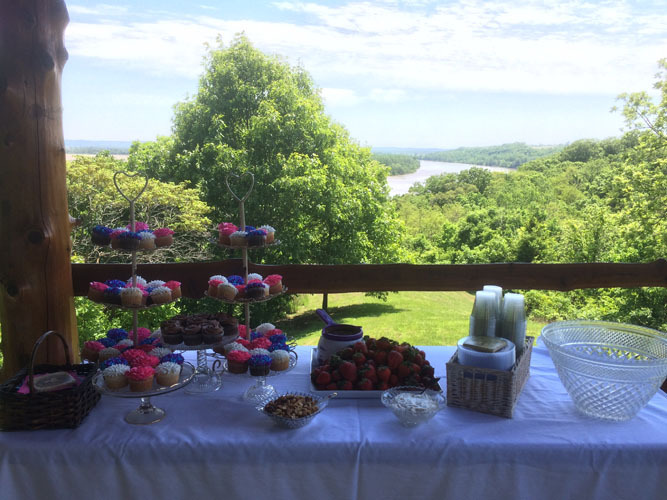 We offer full hook-ups at our hill ridge and riverfront locations. 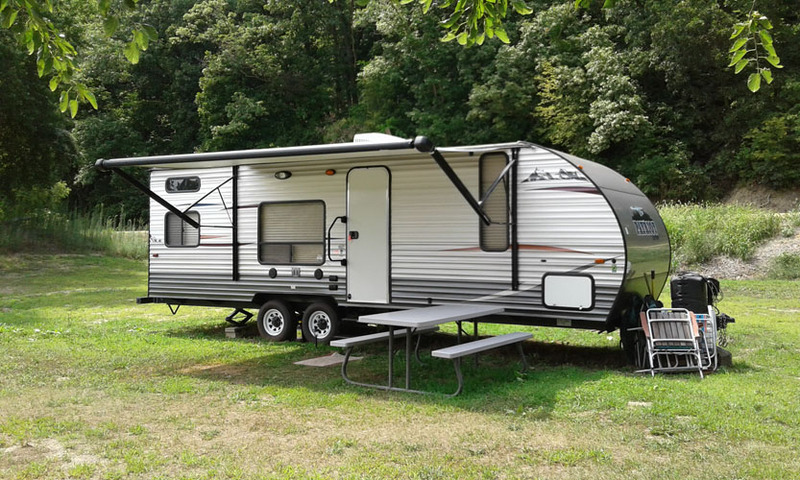 If you do not have your own RV, you can rent a fully furnished camping trailer with everything you need for a great camping experience. Tents are also available or bring your own. Long term rates are available upon request. R.V. 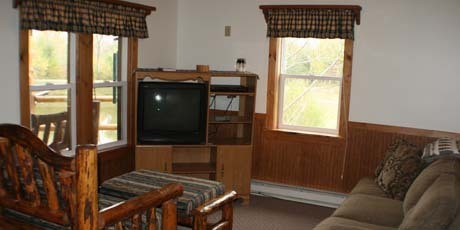 Daily Rate is $35.00; Furnished Trailer Daily Rate is $150. Contact Evean at 816-262-9983 or 785-989-4452 for additional information and prices. 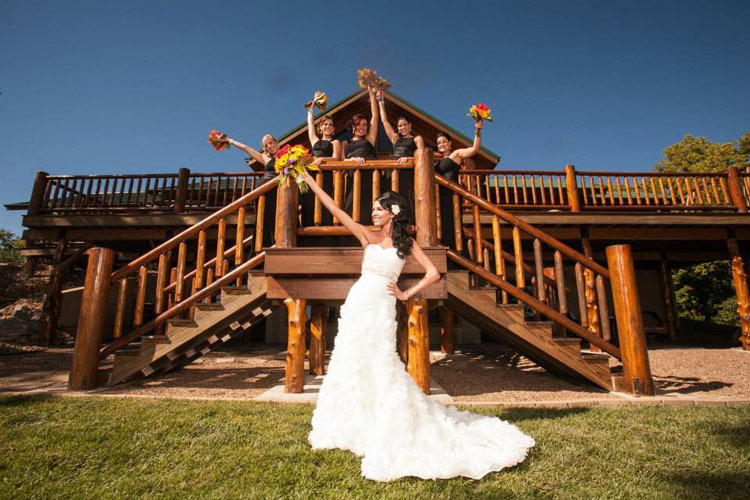 We offer a superb outdoor venue for weddings, receptions, birthdays, anniversaries, reunions and private parties. We can accommodate approximately fifty guests. We will be happy to assist you with any catering needs, or use our cookers, propane grills, deep-fryers or smokers to prepare your own food. We also schedule Fall hayrack rides. Contact Debbie at 816-262-9983 or 785-989-4452 for additional information and prices. Rates are subject to change. We accept Visa and MasterCard. Check-in 3:00 p.m. Check-out 12:00 p.m.
Advanced reservations are required. A deposit of 50% of the total stay is required. Upon receiving your deposit, we will mail you a receipt. There is a $50.00 cancellation fee on all cancellations. A 72 hour cancellation is required for a full refund of the deposit. If the cancellation is not made prior to 72 hours of your stay, the total deposit becomes non-refundable. From Highway 36 in Wathena, Kansas, turn South (by Casey's) onto 4th Street. Go one block to St. Joseph Street, turn right and cross the bridge. Turn left onto Monument Road. 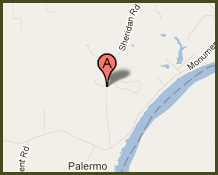 Go 2.1 miles to Sheridan Road (stop sign). Turn right onto Sheridan Road and go .5 miles. Driveway has a marked wooden arch with a Riverbend sign hanging on it and 926 on the post. You can make your reservation by phone (785-989-4452 or 816-262-9983). If you are making a reservation, please indicate what dates you would like to reserve. 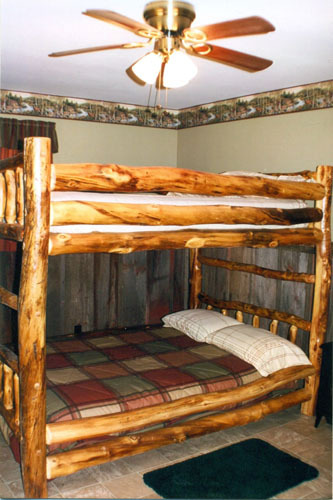 Your hospitality and the cabin's comfort, cleanliness, coziness, and charm made this the ideal getaway for us. Everything was perfect! We can't wait to come back. Thank you so much for having the vision of sharing your "Little Piece of Heaven" with the rest of us. Where do we begin? 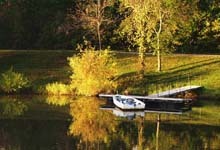 We just married on your beautiful property. You all went above and beyond to make this day the most memorable. We cannot thank you enough. What a wonderful day! We are thoroughly impressed by the unique, back to nature destination which is preserved for generations to come. We have never received such wonderful hospitality. 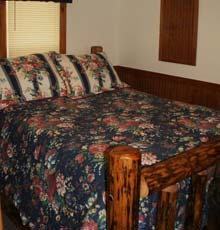 We feel so relaxed and comfortable in the tranquil get away that Evean and Debbie have provided. We were welcomed and treated like a part of the family. The hard work is obvious. Well done and thanks! As parents of a blended family, we very rarely can get them all together. Five children, nine grandchildren, and three in-law children. This place allowed us to have a family memory that no place else could. As a mother, seeing them swim, boat, fish, and play from the front porch swing filled my heart full! We will be back. 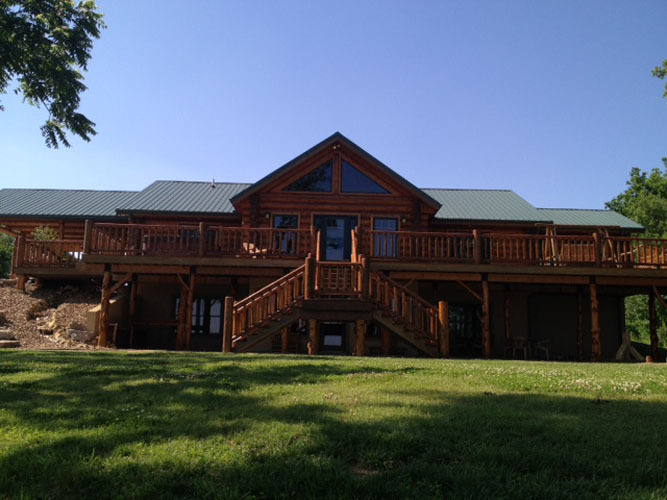 Kansas Riverbend Properties, LLC © 2011-2018 Evean and Debbie Benitz. All rights reserved. Please email or call 816-262-9983 today!